Homepage>Scuba Tips>How to be an Eco diver? The good news is that globally the number of active divers is up, the bad news is without proper training and education these divers although armed with the best of intentions will ultimately have a negative impact on the environment they love so much. If you have ever thought that you will enjoy diving for the rest of your life, or that one day you may want to share your favorite dive sites with your children, then you better become and eco-friendly diver. If not most sites we dive today will either be dead or nearly destroyed within a generation or two. Imagine several years from now, you are taking your children, or in an even more distant future, your grandchildren for a dive. You are not taking them to any old dive site, you are taking them to one of your favorite reefs, a reef you spent many an amazing dive on in your youth. For years you have captivated them with stories about how magnificent this reef is, how the color spectrum of the corals leaves you in awe, how the fish life is so rich, that sometimes you have to wave them out of your way as you swim and explore the reef. Now imagine the sheer disappointment and heart ache as you plunge into the water and you find that most of the reef is dead. This is not some dramatic Science Fiction scenario, but sadly is Science fact. Of all the reefs observed by the NASA, 27% have already disappeared. They project that in the next 32 years another 32% will be gone! This is not just due to factors beyond our control, since we play a major hand in the decline of the world’s coral reefs. This is why becoming an Eco-diver is now not much of a choice, but actually an obligation to try and preserve them for future generations. Before you think that being an Eco-diver is something that requires immense commitment and resources, don’t worry it does not. Being an Eco-diver is actually relatively simple. It is just a conscious decision on your part to make some simple choices that help protect and preserve our marine environment. There are two types of choices to make when you decide to be an Eco-diver. Firstly, there are the personal choices you make outside the water, and then there are the many choices and practices you undertake in the water. The bottom line is that nature as a whole and the marine environment especially needs ambassadors. This is where you step in, be positive and proactive, be a role model to other divers with your actions in the water and your words out of the water. 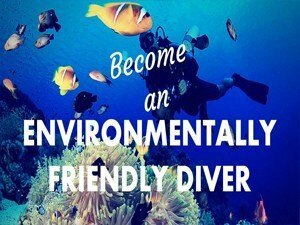 Be sensitive and try and help other divers grasp the benefits of being Eco-friendlier divers. Participate in local Eco-friendly programs and beach clean up. Khao Lak Explorer participate actively in these programs. Buoyancy control is probably the single most important skill that will make you an Eco-friendly diver. The old axiom in diving is “take nothing but photos/memories and leave nothing but bubbles.” To be able to do this you need near perfect buoyancy. If every diver on average broke 1 gram of coral per dive the result of the losses globally is in the tons of coral destroyed by divers. The simplest way to avoid this is by being spot on with your buoyancy, since if you are you in control, you will not accidentally bump a piece of the reef, you won’t lose control and descend onto a reef like a rock breaking off chunks of coral. The easiest way to perfect your buoyancy is in a controlled environment where you can fine tune your skills. Talk to other divers especially experienced divers, ask them for tips or tricks about buoyancy. Ask your instructor about any tips to help you they may have, finally you may even opt to take a buoyancy course to help improve and sharpen your skills. The important thing to remember is that with time you will improve, and you will be the experienced diver, pass your knowledge down to those who ask you. Participate in our PADI Advanced Open Water course to improve your buoyancy. “A little Knowledge goes a long way” or so the saying goes. Take some more courses tailored for divers protecting the marine environment. There are many options out there from Training agency provided courses, such as the PADI Aware program, and independent programs such as reef check. Most of these programs while being relatively easy to take will give you a wealth of information about how to help the marine environment. Greens fins programs provide great information and projects worldwide. There are many personal habits that you can develop to become an eco-diver; while most will have the biggest impact when you’re at a dive location, there are still quite a few that you can partake in all the time to better help the environment. Firstly, choose responsible dive operators, focus on quality and the environmental credentials of an operator for your next dive trip. Secondly, try and avoid plastic at all cost. Use reusable bags instead of disposable plastic bags. When it comes to water and you have to drink plenty of it, avoid disposable bottles and go for a nice refillable bottle, which you fill from a big water dispenser. When it comes to personal cleaning products such as shampoo, shower gel, and sun screens, always try and go for the environmentally friendly bio degradable variety, especially when diving in less developed tropical locations. In many developed countries, the waste management systems are sufficiently advanced that the pollution from non-biodegradable products is rendered harmless during the treatment of the waste. In less developed countries, this is often not the case and grey water and raw sewage will regularly be pumped directly into the sea some distance away from the main tourist resorts. This can be a tricky one, most of us do like to eat some type of sea food. Whilst complete abstinence from seafood is commendable, this may not be completely necessary. 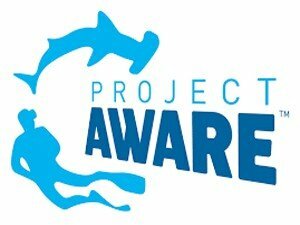 Educate yourself about the fish species and other products available in your area. Ensure that everything on your plate is sustainable and produced ethically. The classic example of this was canned Tuna, during the 1980’s there was an abundance of Tuna, however the production resulted in an enormous by catch of dolphins. As a result, from increased pressure from consumes, producers had to switch to a dolphin friendly method of production. Most of us choose a dive center/live aboard based on two basic criteria price and quality of service. We are prepared to pay more for a higher quality of service. On the other hand, we could be very driven by price chasing the lowest possible at all times. Well it is time that you add another criterion to your selection process, “how Eco-friendly is the operator”. Research the operator and their policies make sure that they prioritize an environmentally friendly agenda and are active in encouraging divers to be so. There are many diving habits that you should get into to help protect the environment. Arguably the most important is to perfect your buoyancy – without good buoyancy you will invariably bump and brush past coral, damaging it in the process. Streamlining your equipment is also crucial, and helps improve your buoyancy, it is completely counterproductive to be swimming around neutrally buoyant, while your gauges or octopus are dangling down smashing into every bit of coral you swim by. For photographers, especially less experienced ones, watch your fins. Quite often it may seem that the photographer is not touching anything while taking a photo, but in fact his fins are resting inadvertently on some coral. Try and be a role model for other divers; if divers see you touching things and you are more experienced than them, they will understandably take it to mean that this is acceptable. Most divers have heard the saying “take nothing but pictures and leave nothing but bubbles”. This is definitely a great moto to dive by to be an Eco-diver. Similarly, do not harass or touch the marine life, and if you see another diver or guide doing so bring it to the attention of the dive operator’s management as soon as possible. Finally, when possible take part in trash dives and clean up dives. After all what is better than a free dive that helps the environment! There are many community activities you should consider to help reach out to others and make an impact on the environment. There are many education and conservation organisations you could consider joining. Share your images of the underwater world on social media to help educate and reach people about how wonderful it is. 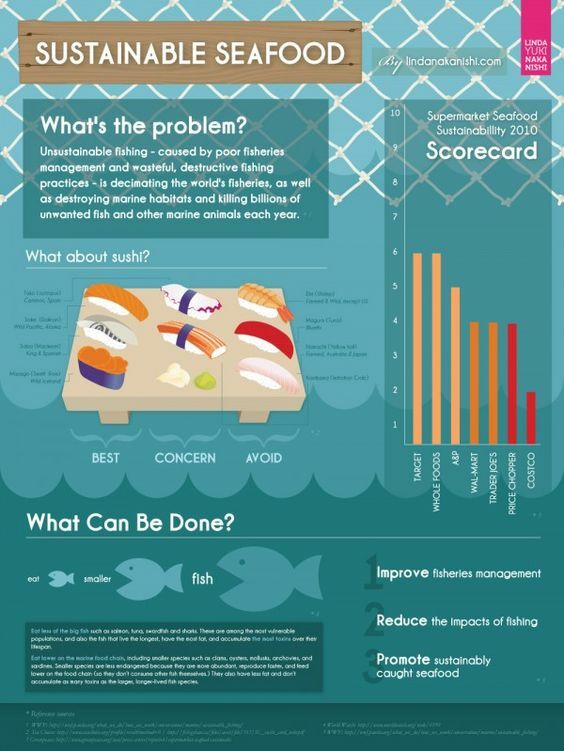 If you like sea food, make sure to choose responsible sustainable sourced food. Finally, remember to try and be an advocate for the underwater world. The list of things you can do is enormous, and if you try and do everything it could prove quite daunting. What you need to remember is that to start you don’t have to do everything at once. Just taking one step towards becoming an Eco-diver is better than taking no steps at all! I have tried many tips but my buoyancy still is not perfect? Congratulations on trying to improve your buoyancy, you are on the right path. What most novice divers sometimes fail to grasp is that buoyancy is not a muscle memory skill, like replacing a regulator, or removing and replacing your mask. Buoyancy is a tactile skill, it requires the development of a feel or sense, and as such takes a bit longer to master. Think about it like driving a car the basics of operating a car are simple enough to learn, but developing a road sense to be able to drive on the road safely and pass your test requires much more practice. I like eating fish is there an eco-friendly alternative to traditional fish species? This is quite difficult to really pin down, one of the most widely available options in Europe and USA is a species of fresh water fish from south east Asia called Pangasisus or Basa fish. While this fish is farmed in Vietnam, Thailand and other countries, it is not endangered and seems sustainable. However, the saying goes that “there is no such thing as a free lunch”, and some concerns have been raised about the impact of intensive open cage farming on the rivers and estuaries of south east Asia. It is thought that the sheer number of fish is having a detrimental impact on the rest of the ecosystem in those areas. Ultimately research the species in your area and choose those with the least impact or preferably those that are sustainable. All the operators seem Eco-friendly how do I choose? This is can be tricky since over the years as divers have become more environmentally aware and demand the same from operators, most have begun to emphasize this aspect of their business in their advertising. In this case what you need to do is dig a little deeper, ask them what environmental programs or courses they run, how often do they conduct beach clean ups and clean-up dives. You will soon be able to separate those operators who are genuinely proactive in protecting the environment and those that are merely paying lip service to it to gain clients. Are there any specific courses I can take? Yes, the selection is actually enormous, from very basic courses that take a day or two, to intensive courses that take several months it really is up to you to determine how much time and money you want to spend your Eco-diver education. 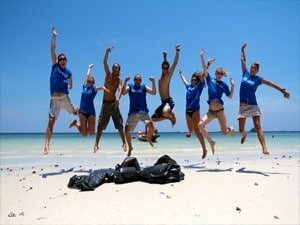 Some programs even offer you the opportunity to work for several months as a volunteer in marine conservation, this can give you great hands on experience about the practical aspects of being an Eco-friendly diver. What should I look for in a dive operator? Trying to establish who is a good or a bad dive operator in terms of the environment is relatively simple. When you consider that in most locations around the world there is a bare minimum cost per dive for the operator supplying the service, avoid the cheapest! If they are very cheap in comparison to the competition, they are cutting corners somewhere, more likely in equipment service and maintenance. Do you think an operator that skimps on servicing their dive gear cares one iota about the environment? Check up on the operator’s green credentials, a wall certificate from 3 years ago is lip service. A series of certificates stretching back years and months is a far more reliable indicator. Talk to local divers and look at an operator’s website and social media to see that they have a consistent commitment to the environment. Social media is a great tool since a lot of clients will share pictures of their experience at the centers. 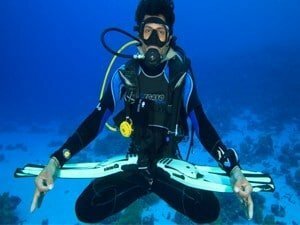 How do I Improve my buoyancy? The key to improving almost everything including buoyancy is practice and education. With more time in the water your buoyancy will improve, although self-learning may make it somewhat of a slow process. However, if you throw into the mix some proper training and tips from experienced divers it will come on in leaps and bounds. Join your local dive club, get to know the members, you will find most of them helpful and generous about sharing their experience, time and tips. In addition, you will find most training agencies have a buoyancy specialty, taking this specialty will give you some invaluable knowledge and education to help you improve your buoyancy skills. Don’t forget once you master buoyancy, share your knowledge with less experienced divers. How do I report someone or dive operator? If you witness a client or guide doing something bad (handling live animals, breaking corals etc.) do not confront the diver directly but bring it to the attention of the dive operations management. Remember that even though you may be angry, the objective here is not just to get these individuals to stop, but to educate them so that they willingly stop and don’t encourage anyone else to do the same. Demanding that a guide be sacked or a client thrown out will help no one, they will just carry on their behaviour elsewhere. If it turns out that the lack of environmental concern is systemic in the business from the top down, then try and document the activities with photos, and make a complaint to their affiliated dive agencies, Trip Advisor, Facebook. If you are forced to do this with an operator based in a less developed country, it’s a good idea to wait until you have left to avoid any potential retaliation.